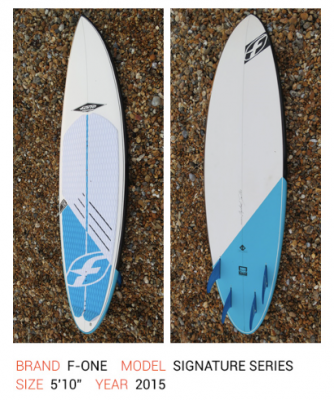 Find out why IKSURFMAG thinks the 2015 Signature is a SUBLIME ride! 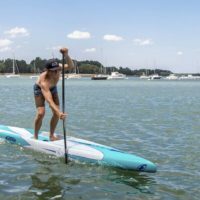 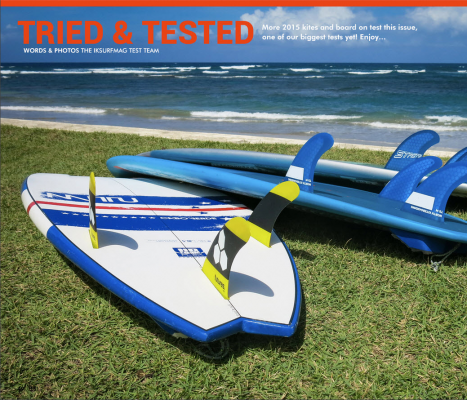 Confidence inspiring grip and smooth ride in rough conditions make this a perfect big wave slayer for smaller riders or the go to storm weapon for larger riders. 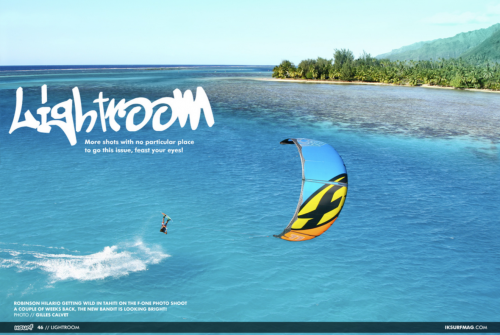 F-ONE and Manera Nominated for the 2014 IKSURF Mag Readers Choice Awards – Vote Now ! 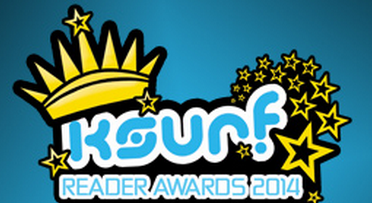 Its that time of year again the 2014 IKSURFMag Reader Awards is live and the voting is going crazy. 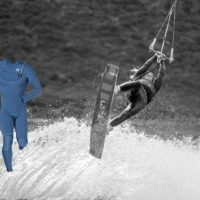 Click the links below and VOTE for your favorites. 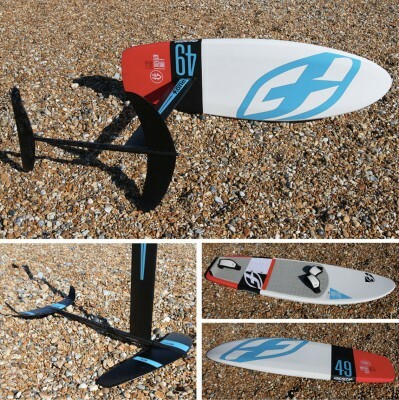 F-ONE has a pretty solid line-up dabbling in Everything from Best Male Rider to Best Video of 2014… Who will win? 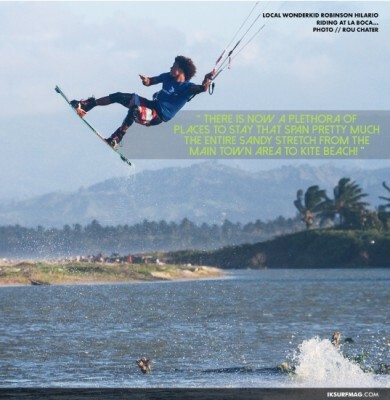 Check out team riders Katie Bowcutt and Robinson Hilario featured in the latest issue of IKSURFMAG – “Cabarete, The Forgotten Mecca.” Click the links below and check out the full article by Rou Chater. 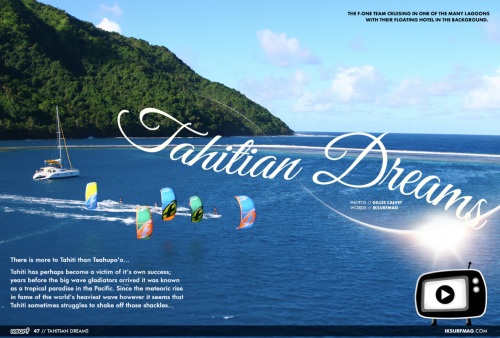 Issue #45 of IKSURFMAG was just released and is full of action packed content. 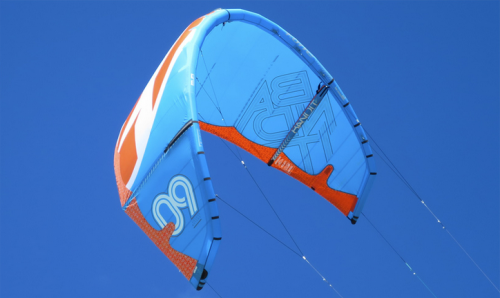 Get the inside scoop of our very own trip to BAJA Mexico for the 2014 MITU Montero Wave Camp. 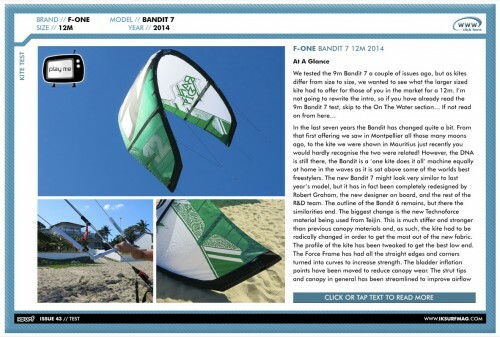 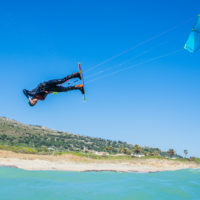 We have tested the 9m Bandit 7 a couple of issues ago, but as kites differ from size to size we wanted to see what the larger sized kite had to offer for those of you in the market for a 12m.